Who says cakes without eggs are not soft and delicious. 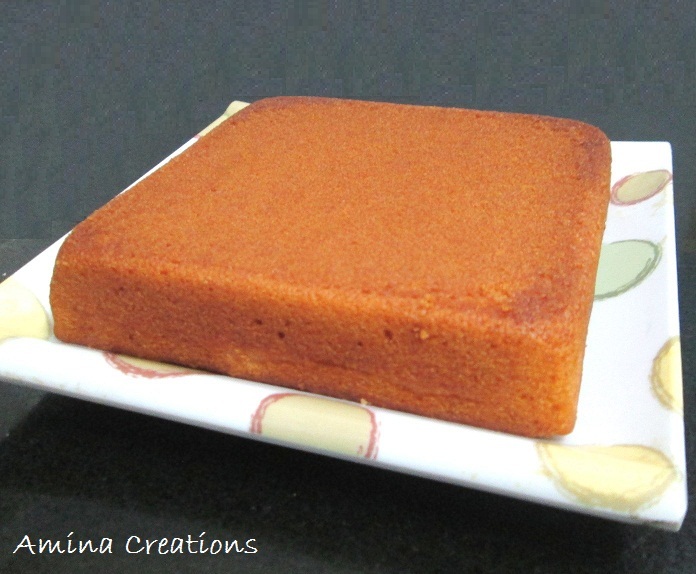 Then that person would surely have not come across this recipe of Eggless sponge cake. This eggless cake is made with curd and is as delicious, soft and spongy as a normal egg cake. Take curd in a bowl, add sugar and mix well till the sugar dissolves. Add baking powder and baking soda and mix well. Set this aside for 5 minutes. You will see bubbles appearing. Meanwhile switch On your oven and preheat it for 10 minutes at 180 degree C.
Add vanilla essence and oil to the cake mix and stir well. Seive all purpose flour twice and add this little by little to the cake mix. Fold well such that there are no lumps. Transfer the cake mix to a greased aluminum cake pan and place it in the central rack of the oven. Bake with the lower rods ON at 180 degree C for about 35 minutes or till a toothpick inserted comes out clean. 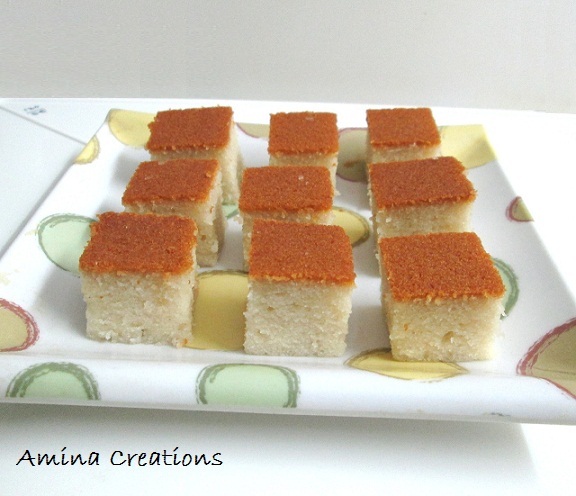 Allow the cake to cool down completely, then invert it into a plate and cut into small squares. Your eggless cake is ready to be served. More recipes to follow soon. Stay tuned for more cake recipes. Sorry, can I ask what is the " curd " look like? Even though the aluminium vessels that we use for normal cooking can be used in an otg, to get the best results and a perfect cake, it is always better to use aluminium cake pans that are specially meant for baking. Can I know which oil may I use for it. Can I use regular mustard oil or refined oil or something else? I used refined sunflower oil.. I want to exclude baking soda because I don't like the taste that it imparts to the cake. Can I use 1/2 tsp baking powder instead? I am not sure how the taste of the cake would vary if you use baking powder since I have not used it myself... 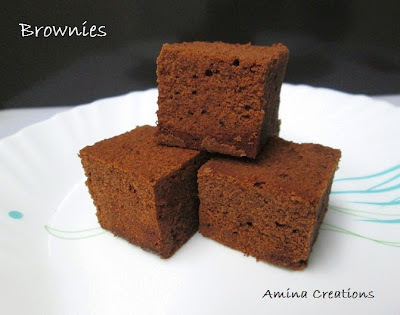 It is better if you go with the original recipe and I am sure you will not feel any taste of soda in the cake. Hi Shajer... You can bake at a temperature 160 degee C and allow the cake to bake for 35 to 40 minutes. By then the wet part in the middle would be cooked. And always preheat the oven at the same temp for about 10 minutes before you place the cake pan inside your otg. Thank you for the recipe. I have a 28ltr prestige otg similar to yours. Just baked this cake with bottom rods on at 180C for 30min, but the bottom of the cake got burnt:( On top of that, I had lined the cake tin with baking paper. The paper got stuck to the cake and had to be sawed off with a knife! The cake was tasty and very soft, texture not bad. Any idea what could have gone wrong? Pls tell me can i use silken tofu instead of curd. Thanks. Just visited your blog & would like to try Eggless Sponge Cake with my newly bought Prestige otg 40 ltrs.I hv one question abt cup measurement used by you i.e. 1 cup is how much in ml say 200 ml or 237 ml or 250 ml. Hi Amina mam. likd your blog very much. 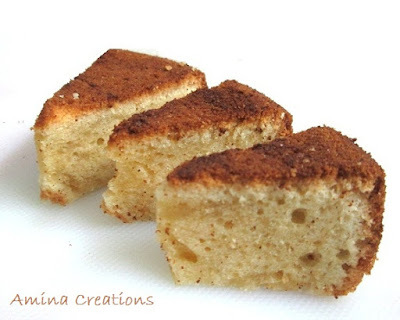 i have one query regarding eggless sponge cake receipe. can i use pure ghee or butter instead of oil. 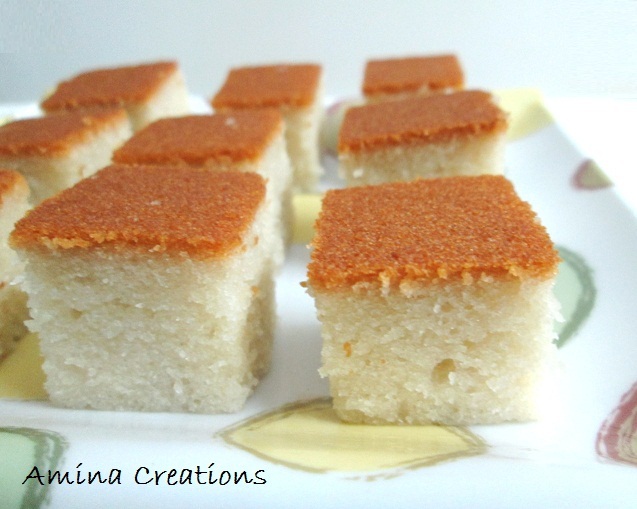 I tried to make Eggless Sponge Cake twice with both heating rod on. my Prestige 40 LTR OTG. I think the temp 160 degrees is high for your oven. You can bake at 130 degree or 140 degrees for 22 to 25 minutes. Can v use a glass bowl ? Hi... I have got really good, soft and fluffy cakes using my Prestige 19 ltr otg. 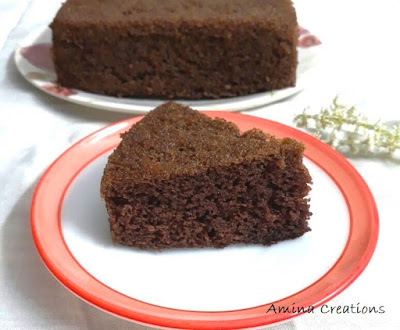 All cake recipes that I have shared here have been made with this otg only. This otg has worked for me but I am not sure of other people's experience of using it. If you are satisfied with it you can go ahead and buy it, otherwise I am sure there are other good brands as well available in the market. Can I bake this in a cooker? Mam my vanilla cake never comes out this white from inside..it always turns little brown..what am I doing wrong? 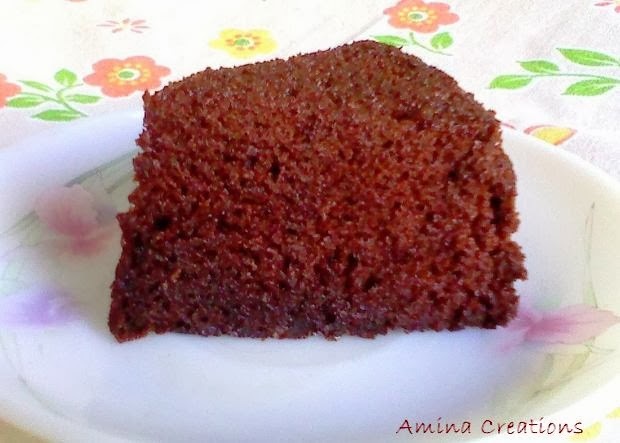 Hi Amina, ur cake pic is tempting me to try to cake tight away. U have one query I can use olive oil for this recipe?? How many inches is your aluminium mould? Hi.. no idea.. which oil did you use... and did you add more oil than mentioned in the recipe... I have used sunflower oil here..
What is the size of the square baking pan to be used? Can I use mealted butter in place of oil with the same measurement ??? I am glad your cakes came out well. Yes cupcakes have to be baked at lower temp and for shorter duration. 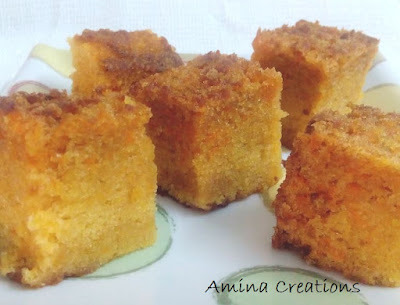 thanks for sharing your experience..
Hi Amina, Thank you so much for the recipe. I wanted to ask you one thing. The sugar that you used is powdered sugar or regular granulated sugar? Silly question but please do reply, I really want to try this recipe. Thank you so much !! Hi Meghna, I have used granulated sugar in this recipe.. Thank you for recipe. My came turned out well. I have used normal granulated sugar here. We have to beat this with the curd till the sugar melts completely.